While the U.S. framed its bilateral talks with Argentina at the G20 summit as producing a "shared commitment" against challenges like "predatory Chinese economic activity," the South American country is actually forging deeper ties with China. It took only minutes for Argentine officials to react to the White House's version of what was said in the meeting between U.S. President Donald Trump and his G20 host Mauricio Macri: the Americans weren't reporting the discussion accurately. It was spokesperson Sarah Huckabee Sanders who had described the bilateral talks in terms sure to annoy China. "The two leaders reiterated their shared commitment to face regional challenges like Venezuela and predatory Chinese economic activity," she said. Well, actually they didn't, said Argentina. "That comment wasn't co-ordinated with the government of Argentina and doesn't reflect Argentina's view" said an official. "We value our relationship with China very much." Argentina's foreign minister, Jorge Faurie, chimed in, "It was not discussed in those terms." 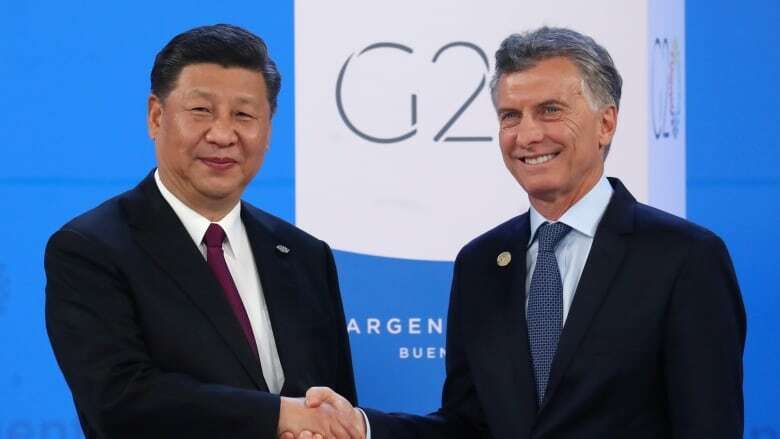 And from Beijing, Argentina's ambassador, Diego Guelar, told the newspaper La Nacion, "China is an integral strategic partner of Argentina and we're signing 37 bilateral accords with China covering every area during the state visit of President Xi Jinping." Sanders's version of the meeting "must have been a mistake," said Guelar. And with that episode, Argentina's relations with the U.S. frayed a little more and inched closer to China. Trump's indifference was on full display on Friday when he suddenly walked offstage at a G20 event and left Macri alone, visibly perplexed and discomfited, while some in the audience began to laugh. There's a good reason Argentina's government appears more concerned about upsetting China than it is about contradicting the White House. China is investing billions of dollars in its economy. And China's footprint here is growing. This week, China doubled to $25 billion Cdn a line of credit to help Argentina through the latest round of its perennial financial crisis. That makes China Argentina's biggest creditor after the International Monetary Fund. Next week, China is expected to announce that it will construct a new nuclear power station for Argentina at a cost of about $8 billion. "China is the second-largest economy in the world, soon to be number one, and it is looking to expand its interests, commercial and otherwise, throughout the world," says Thomas Bernes, a former senior official with both the IMF and the World Bank who was attending the G20 as a fellow at the Centre for International Governance Innovation (CIGI). "This is similar to what the U.S. has done for decades, including throughout Asia." "The TPP (Trans-Pacific Partnership) was an attempt by the U.S. to build a trade agreement with countries in Asia that excluded China. Countries want to enjoy a productive relationship with both. But the world hasn't witnessed a time before when two countries were so dominant economically and strategically at the same time. 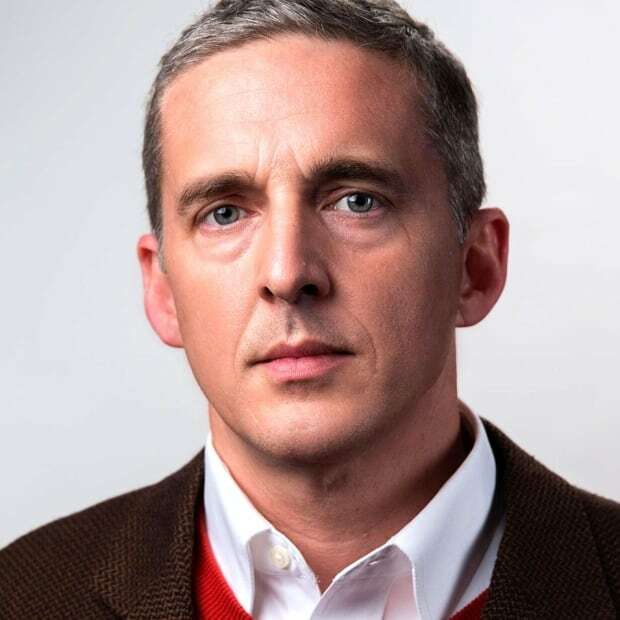 Russia was a strategic competitor but not an economic one." Increasingly, Bernes told CBC, countries may be forced to choose. "So as the power dynamic changes; how do the U.S. and China, and other countries, find a way to avoid conflict?" More and more, the choice is China. Chinese corporations, many with links to the state, are investing heavily, and strategically, across the region. They prefer to put their money into infrastructure, such as ports, and natural resources, such as strategic minerals, as well as energy projects. In 2015, President Xi Jinping toured Latin America, showering money — and wherever he went, he told Latin American leaders that China was committed to spend $250 billion US in the region by 2025. He invited Latin leaders to a conference in Beijing where he told them China believes its trade with Latin America will reach $500 billion a year over the same period. That largesse brings two kinds of risks for those who fear that authoritarian China may one day displace democratic America as the heavyweight of the hemisphere. The first is that the assets China is buying are creating an infrastructure of power that spans the world. Just as the U.S. once benefited mightily from control of the Panama Canal, China's growing network of seaports potentially gives it control over the chokepoints of global commerce. The second is the concessions China is demanding — and receiving — in return for its investments. One example is El Salvador's decision to end its long-standing recognition of Taiwan in August, ignoring U.S. threats of retaliation, in what looks like a quid pro quo for China's investment in a new port. And in Argentina, China's investments have secured for Beijing what may be its first military presence in the Western hemisphere. In the foothills of the Andes, on 200 hectares of land ceded by Argentina for 50 years, China has built a satellite tracking and monitoring station, which began operating last year. Its antenna is 16 stories high. China first proposed the project when Argentina was experiencing the economic turmoil of the 2008-09 financial crisis. "The station is exclusively for scientific and civic purposes, focused on monitoring, control, and data download of China's interplanetary space missions," Argentina's ministry of planning said when the deal came up for ratification in Argentina's Congress. And Congress had to take their word for that, because the deal contains a number of secret clauses, but it is striking that the organization that operates the station is fully controlled by the Chinese People's Liberation Army, and the antenna is the kind of dual-use technology that other countries use to intercept communications. In recent years, China's military has also sought liaison arrangements with some South American nations, and conducted joint exercises with the Brazilian Navy. Argentina's President Mauricio Macri is a wealthy businessman who knows Donald Trump from New York days before he ran for president. Macri has been highly critical of his immediate predecessor's anti-American rhetoric and her tendency to work with countries such as Russia, China, Venezuela and Iran while allowing ties with western democracies to degrade. Argentina's president has made his preferences clear, and has offered advantages to U.S. companies to invest in a vast and undeveloped oil and gas reservoir called Vaca Muerta in Patagonia. In his bilateral meeting with Trump on Friday, Macri spoke at length about Vaca Muerta and encouraged the U.S. president to try to get American companies involved in developing it. Macri's government is well aware of the dangers of becoming too beholden to China's predatory lending practices, which have dragged vulnerable countries deep into debt only to extract concessions that can include surrenders of sovereignty. But Trump showed little interest in Vaca Muerta, according to Argentine media reports. It's just one more way that the Trump administration is accelerating the decline of U.S. influence in the region and hastening the rise of China's. Soybeans and the byproducts are a leading commodity in Argentina and increasingly the underpinning of its government's tax revenues. When Trump began his trade war with China, Beijing retaliated by imposing tariffs on U.S. soya and shifting more of its soy purchases to Argentina and Brazil. China is by far the biggest customer for Argentina's soybeans, deepening the country's dependence on Beijing. "As we see between Canada and the U.S., having close economic ties clearly makes you more sensitive to views of the other," says Bernes. In stark contrast to China's strategic nurturing of its influence in Argentina, the Trump administration has been uninterested, disorganized, and increasingly absent. And as U.S. prestige and presence wane, pro-western Macri has had no choice but to turn more to the Chinese. And they have come through for Argentina, ever eager to take on the roles Washington seems to be abandoning.